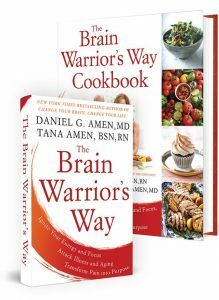 In this episode of The Brain Warrior’s Way Podcast, Dr. Daniel Amen is joined by television personality Leeza Gibbons to discuss her advocacy for brain health. Leeza came into the space of brain health reluctantly, as her mother and grandmother both suffered from Alzheimer’s Disease. Learn the steps Leeza took to ensure she would not follow in those footsteps. Dr. Daniel Amen:	... who I've adored for, we were just thinking about it, 20 years. 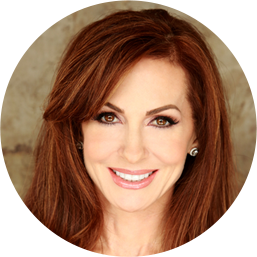 Leeza is a very well-known television personality, she's an author, her latest book is Fierce Optimism, she founded Leeza's Care Connection, and I know many of you know her, but I have the opportunity to spend the day with her and I'm just grateful. Thank you. Welcome to The Brain Warrior's Way. Leeza Gibbons:	This is really a wonderful opportunity. I've been such a fan, as you know, of your work for so long, even before you scanned my brain a decade ago. Leeza Gibbons:	So you know me well, and you know my brain even better. Dr. Daniel Amen:	I do. So I was on your show, 1999, when my book, Change Your Brain, Change Your Life, came out, and you said to me, "So, I read the book and there's 300 stories in there." Dr. Daniel Amen:	And, you know, there's just no end when it comes to the brain, and one of the things that you're really passionate about is Alzheimer's disease. Why? Leeza Gibbons:	My mother and my grandmother both had Alzheimer's disease and died of complications from Alzheimer's, and so I became one of those reluctant recruits, many of whom become your patients, The Worried Well that we would call ourselves, wanting to understand what my mother was going through, and looking through a prism that didn't look so rosy, of, "Oh, no, does that mean I'm headed in that direction?" So, wanting to really be a good caregiver for my Mom. Like most people, your blind spot is what you don't know, and I didn't understand this very confounding brain disease. Dr. Daniel Amen:	And your grandmother had it, too. Dr. Daniel Amen:	What do you remember about that? Leeza Gibbons:	The first thing I remember about my grandmother was loving her so much, this vibrant Southern woman who was, you know, big bosoms, big laugh, big wonderful hugs, and she made great biscuits. The first time I remember knowing something was wrong with Granny was when she said, "Well, I can't find the biscuits," and I said, "Well, aren't they in the oven?" She found them in a dresser drawer in a bedroom. Dr. Daniel Amen:	Oh, no. Leeza Gibbons:	That was the first sign that something's wrong with Granny, and then watching my mother care for her and argue with her sister, my aunt, about what was best for their mom, and all of the struggles that many of you know very well about caregiving, was so instructive to me, but I didn't know then, nor did I ever want to let myself believe, that my mother would also walk that same path, but she did. Dr. Daniel Amen:	When did you begin to notice it in your mother? Leeza Gibbons:	We thought that my mother was drinking too much, which I believe she was, because I think she was self-medicating with wine, because she was confused and she wasn't remembering things. I noticed her behavior change, that I attributed to drinking too much and to slowing down. Like, her life's not big enough and exciting enough. But she's the one, Daniel, who said, "I paid this bill three times. Something is wrong." Leeza Gibbons:	She lined us all up, my brother, my sister, my Dad, myself, and she said, "Look, when I can no longer call you by name, I want you to ... I don't want to live with you, first of all." She gave us our marching orders, "I don't want to live with you, or your brother, or your sister, and I want you kids to help Daddy know when it's time to let me go." By that, she meant, because of her experience taking care of her Mom, that she wanted to live in a residential community that was specially designed for people with memory loss, and so she picked out a place herself. That's pretty remarkable. Dr. Daniel Amen:	Well, you come from remarkable women. Dr. Daniel Amen:	I think that's certainly true. Leeza Gibbons:	Thank you for that. Dr. Daniel Amen:	And what was going on inside you, as you watched your grandmother and then you watched your mother? And was your mother in South Carolina? Leeza Gibbons:	Yes. My family is all still in South Carolina, as is a big part of my heart. The biggest moment of truth for me came at my Granny's funeral. My mother had already been diagnosed, still functioning in the early stages, but she had dressed herself for the funeral that day, and as is very common, the buttons were wrong, her makeup wasn't quite right, and my mother was an impeccably beautiful woman, but she was struggling. I looked at my mother put her mother to rest and that was the first time that I went, "Wait, scratch this track." You know, you love looking at your legacy. You love looking at what you inherit from the generations that came before you, but no one wants to inherit this disease that steals your mind. That was probably the first time that I felt the loneliness of loving someone with Alzheimer's. Dr. Daniel Amen:	Say more about that. Leeza Gibbons:	It's a very isolating disease, as you know, and until you're in the club to which no one wants to belong, until you're in that group, you don't know that it feels so stigmatizing and so lonely and there's so much negativity because it feels hopeless. Honestly, that's why I love your work so much, because it is not hopeless, and that's part of my world view, why I wrote Fierce Optimism. I believe in our ability to find ways to make the most of what we have, and when you love someone or care for someone with Alzheimer's, the caregiver often gets sick or fails at a faster rate and dies before their diagnosed love one because the stress is so overwhelming. Dr. Daniel Amen:	... and so loneliness is massive, and it's actually one of the risk factors for Alzheimer's disease. But if you're headed to the dark place and your family's not there, and I did ... you and I have talked about the big NFL study I did, and one of the things I learned, there's a very high incidence of dementia in former football players. Dr. Daniel Amen:	But often, as they're going into a dementia place, they're angry, they're irritable, they're not as responsible because their brain's deteriorating, but their spouses misinterpret that as, "They don't love me anymore. I'm not important to them. They don't care," and so they actually go away, and leaving these people sometimes on their own, which is a nightmare. Leeza Gibbons:	A nightmare. Yeah, the lack of socialization is really, really a very difficult place, but the numbers in our society, Dr. Amen, are overwhelming. I mean, you say in the next 25 years, what will the rate be? Dr. Daniel Amen:	It's going to triple. Leeza Gibbons:	Triple. Triple in 25 years. That's our lifetimes. Dr. Daniel Amen:	Yeah. So it's almost six million people now, and go up to 18 million people. Leeza Gibbons:	I always say that this is a women's disease, because as you know, women get diagnosed at a greater frequency than men, and women are more often the caregivers than men, and it's such a conundrum. We don't really know why yet, do we? Although, I hear you've got theories. Dr. Daniel Amen:	Well, we have some clues that when estrogen goes low, blood flow to the brain goes low, and so since male brains weren't birthed with much estrogen, they're not as dependent on it. So there's clearly a hormonal piece to it. Leeza Gibbons:	So when people express fear or concern about estrogen replacement being a cancer risk, you respond by saying what? Dr. Daniel Amen:	Yes, if you take horse estrogens it's a cancer risk, right. The Women's Health Initiative study that came out, goodness, almost 15 years ago I think, and women just threw away the estrogen they were taking, but it was synthetic estrogen. I have not seen an increased cancer risk with bioidentical hormones. Now, it depends on what your genetics are, and your risk for things like breast cancer and uterine cancer, but you have to weigh that against, well, what happens to my brain? But hormones aren't the only factor, and we'll talk about the 11 risk factors because they're so interesting and so important. When we come back, we're going to talk about what Leeza has learned from her own brain and from her search on how to not have the same legacy of your grandmother and your mother. 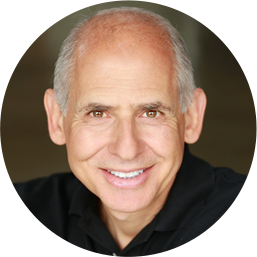 Dr. Daniel Amen:	Stay with us. ← Health & Habits: What Are You Guilty Of?